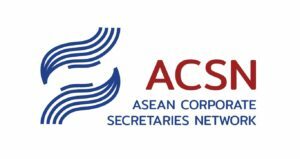 ASEAN Corporate Secretaries Network (ACSN) is a network of corporate secretaries and governance professions within ASEAN. ACSN was established on 22 April 2016 and incorporated in Singapore on 29th September 2017 by the corporate secretaries’ professional organisations of Indonesia, Malaysia, Singapore and Thailand. Objective: ACSN aims to promote the profession of corporate secretaries amongst the countries in the realisation of the economic integration of the ASEAN Economic Community for better corporate governance. ASCN is a strong advocate on good corporate governance practices and a standard setter for quality and timely compliance in the corporate and non-profit sectors. It also seeks to closer cooperation and collaboration with stakeholders in the governance eco-system. Membership is open to organisations with interests in corporate secretaryship and governance. Engaging in a constructive dialogue with financial regulators, stock exchanges, institutional investors and companies on practical issues affecting the regulatory environment and the implementation of better corporate governance practices in Asia. Organising conferences and seminars that foster a deeper understanding of the competitive benefits of sound corporate governance and ways to implement it effectively. CSIS is a member of ACGA and had participated at its briefing sessions and conferences. CSIA, of which CSIS is a founding member, entered its 7th year of operations in 2016. CSIA would be changing its domicile from Geneva to Hong Kong in 2017. CSIA presents a single global voice for corporate secretaries and governance professionals that is heard and respected by the international business community as well as by international government agencies such as the World Trade Organisation (WTO), the United Nations (UN), the International Labour Organisation (ILO), the Organisation for Economic Co-operation and Development (OECD), International.Financial Centre of the World Bank and many others. CSIA promotes the values and practices of governance professionals such as qualified Chartered Secretaries, corporate secretaries, company secretaries and board secretaries in order to foster and enhance the environment in which business can be conducted in a fair, profitable and sustainable manner. In 2016, CSIA published a thought leadership paper on “Ten practical guidelines to improving board communications”. Institute of Chartered Secretaries and Administrators (ICSA Singapore Division) is a division of ICSA and comprises members, graduates and registered students of the Institute residing in Singapore.